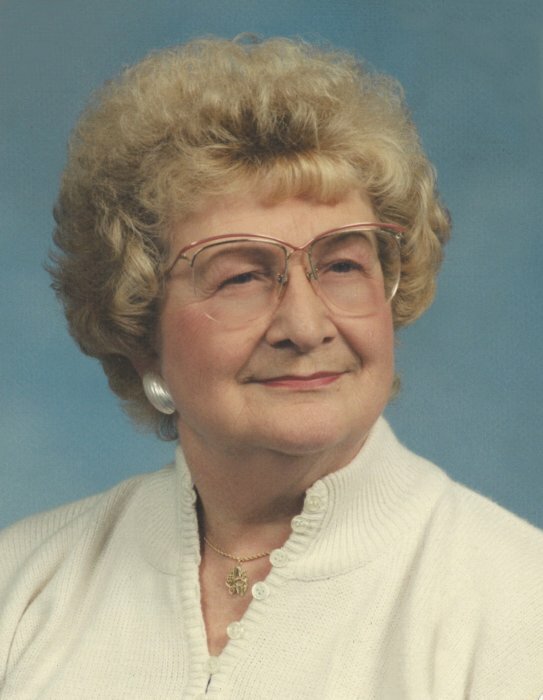 Ethel Price, 92, of Noblesville, passed away on Friday, February 8, 2019 at Riverwalk Village in Noblesville. She was born on April 20, 1926 to William and Amanda Mae (Williams) Davis in Hamilton County, Indiana. Ethel was a 1944 graduate of Noblesville High School. She retired from Firestone Industrial Products after 32 1/2 years, and worked for Walmart for 19 years. Ethel was a member of Green Valley Church of Christ. She is survived by her daughters, Cassandra Strickland of Florida and Peggy Bush of Virginia; sister, Ruth Hall of Shelbyville; four grandchildren, Amanda Crostic of Florida, Kathy Taylor and Tony Fleenor of Noblesville, and Brian Bush of Virginia; ten great-grandchildren; and several great-great-grandchildren. In addition to her parents, Ethel was preceded in death by her husband, Samuel M. Price in 1974; daughter, Rothella Fleenor; nine brothers; and one sister. Services will be held at 12:00 noon on Saturday, February 16, 2019 at Randall & Roberts Funeral Home, 1150 Logan Street in Noblesville, with visitation from 10:00 am to the time of service. Burial will be at Crownland Cemetery in Noblesville.